This is a STUNNING two bedroom ground floor flat which has been very much improved by the current owner to an EXCEPTIONALLY HIGH STANDARD throughout. The home offers BEAUTIFULLY PRESENTED accommodation that is ready to move into and my be of particular interest to the first time buyer or someone who is looking to downsize. Situated a short distance from the town centre the home briefly comprises; hallway, lounge, EXTENDED KITCHEN, bathroom and TWO DOUBLE BEDROOMS. Externally there is space for ON SITE PARKING to the front and a PRIVATE GARDEN to the rear. Tenure TBC. Council tax band A. 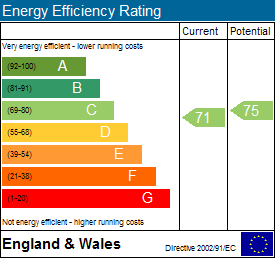 Energy rating C. To arrange a viewing call next2buy on 0191 2953322. Hallway - Double glazed entrance door, laminate flooring, radiator, cupboard. Lounge - 3.86 x 3.90 into cupboard (12'8" x 12'10" into cupboard) - Fitted cupboards to alcoves with internal lighting, laminate flooring, radiator, double glazed French doors leading out to the rear garden. Kitchen - 3.43 x 2.33 (11'3" x 7'8") - Fitted with a range of wall units with lighting under, base units with contrasting work surfaces over, one and a half bowl sink, integrated washing machine and dishwasher, part tiled walls, double glazed window, laminate flooring. Bedroom 1 - 3.87 x 3.89 into robe (12'8" x 12'9" into robe) - Double glazed window, built in wardrobes and drawers, laminate flooring, radiator. 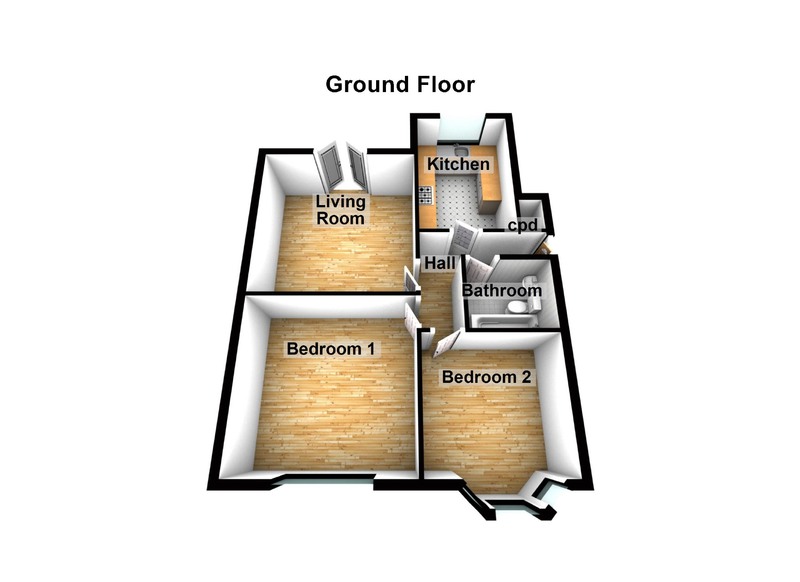 Bedroom 2 - 3.47 x 2.93 + bay (11'5" x 9'7" +bay) - Double glazed bay window, laminate flooring, radiator. Bathroom - 2.45 x 1.45 (8'0" x 4'9") - Comprising; roll top bath with shower over, wash hand basin and WC with built in furniture surrounding, part tiled walls, tiling to floor, spotlights to ceiling, double glazed window. External - Externally there is space for on site parking to the front and a private garden to the rear which is gravelled for low maintenance together patio area and a shed for storage.